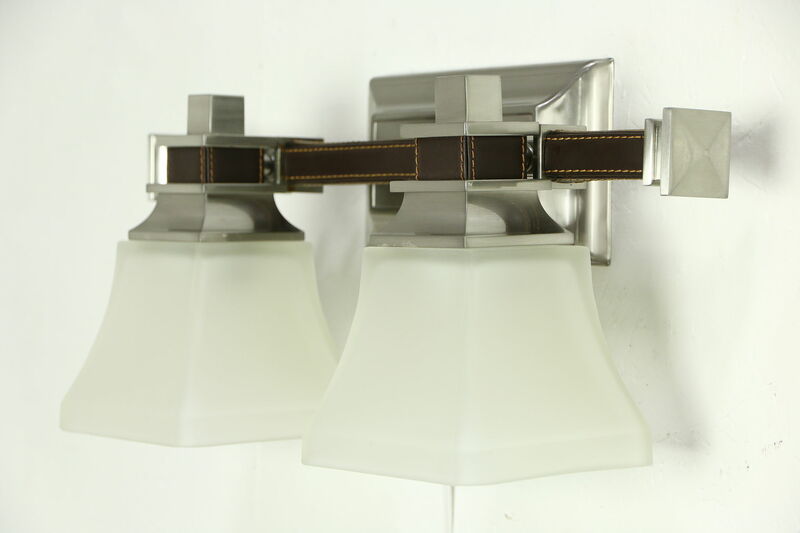 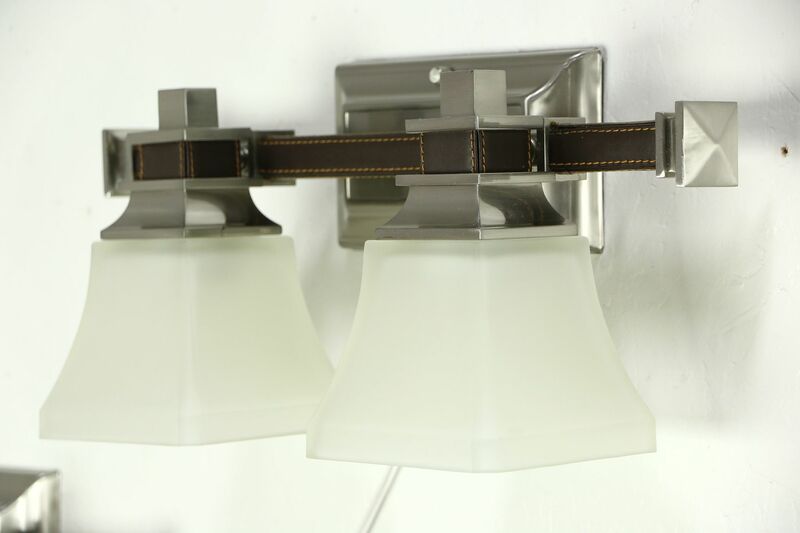 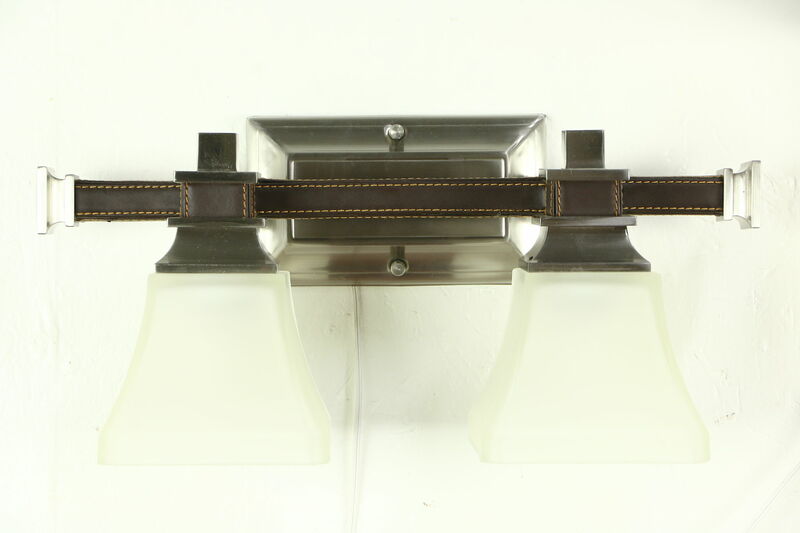 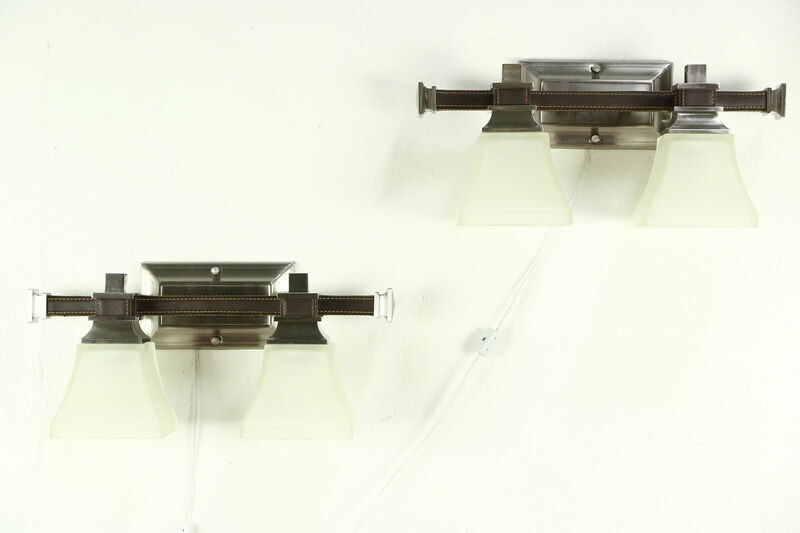 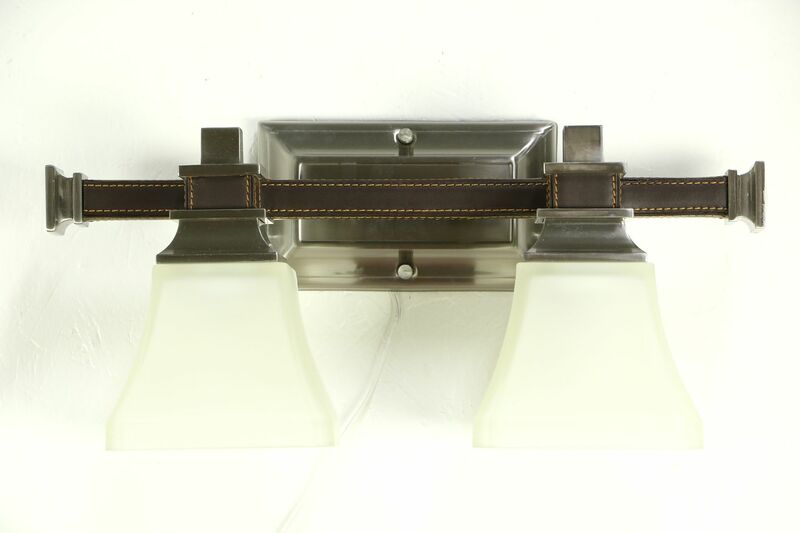 A pair of Craftsman design nickel wall sconces has etched glass shades and faux leather mounts, and are about 10 years old. 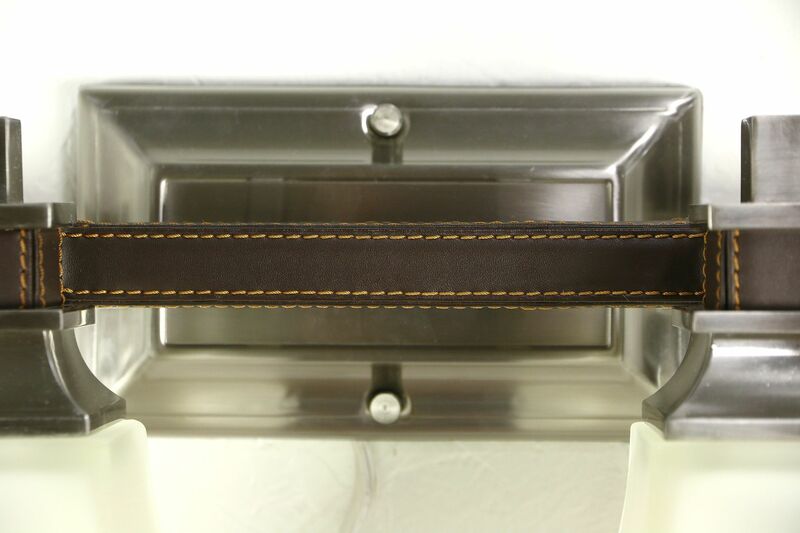 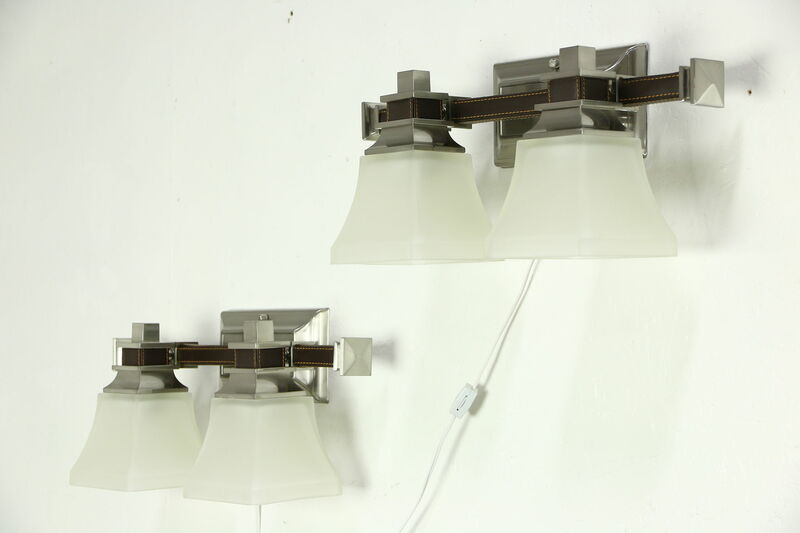 Cords with in line switches are included with these light fixtures, they also have straps to attach to a standard wall electric box. 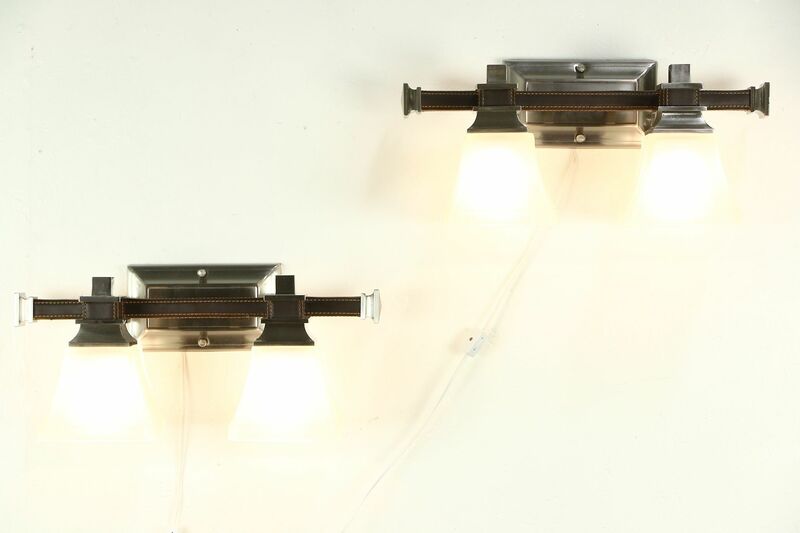 Size is 18 1/2" wide, 9" tall and projection from the wall is 7 1/2." 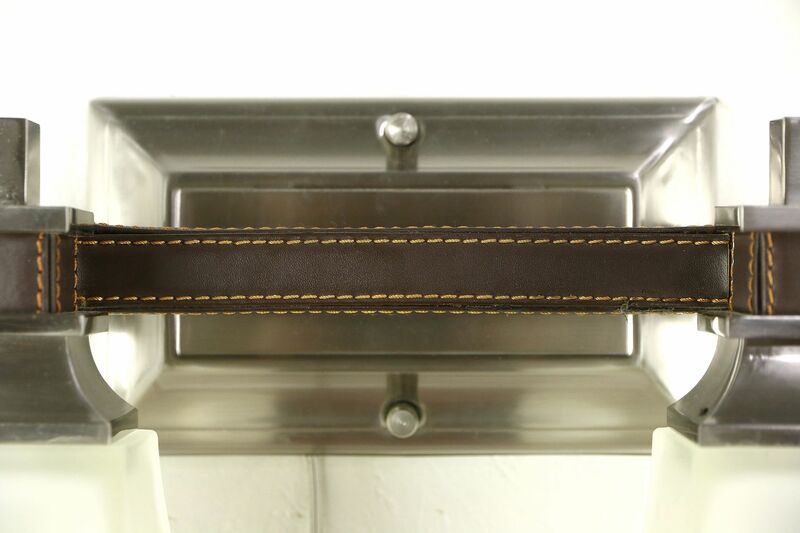 Shipping fee is $35 in the US.